Fila Renzo Tracktop is rated 5.0 out of 5 by 2. 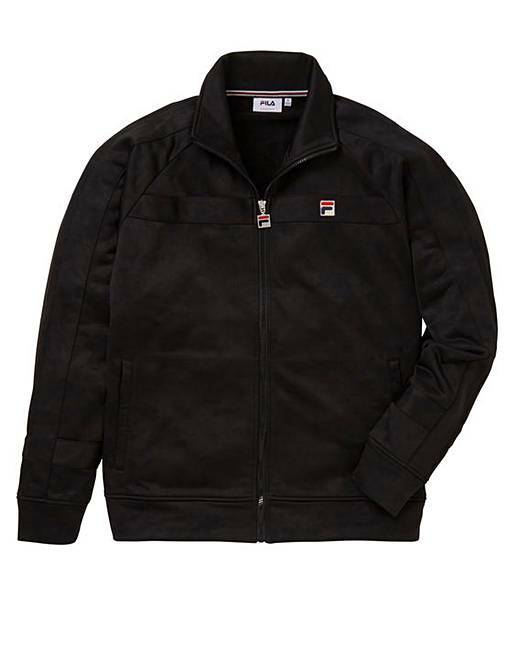 Fila are a symbol of heritage when it comes to everyday casuals. Producing classic sporting goods using premium fabrics in a minimalistic approach. They bring to us those vintage retro styles with this Renzo Track Top which comes sporting a black colourway in a soft touch fleece construction. Rated 5 out of 5 by tony from Good Quality Product Great fit and a good quality product. Fila is on the way back when it comes to sports and leisure wear. Rated 5 out of 5 by Rob L from Cracking top 10/10 Took me right back to the 80’s. A great top, and proper quality. Love it!